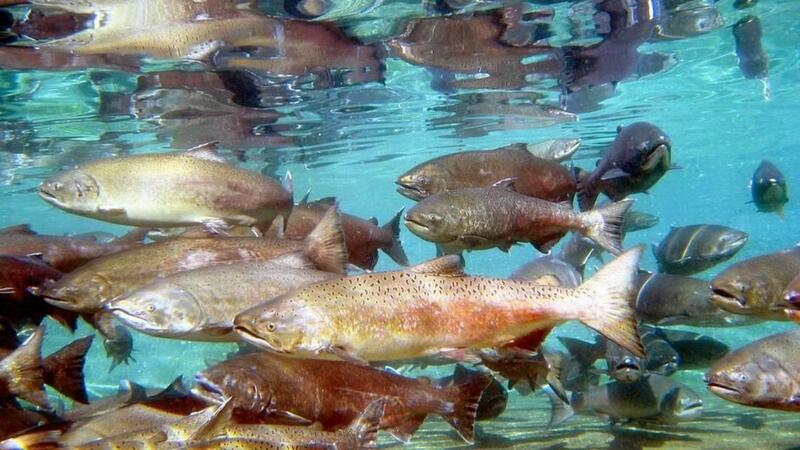 What if you could compose music to understand how salmon migrate through rivers? A team of researchers from the University of Idaho and Eastern Washington University have found a way to do just that. Chinook salmon, such as those that migrate to and from Idaho up the Snake and Columbia rivers, are one of Idaho’s most popular sports fish and integral to the region’s economy, ecology and identity. Understanding in detail their migratory habits is key to understanding how dams and other man-made influences affect their survival and the river ecosystem writ large. To examine that migration in a completely new way, researchers used music to analyze huge amounts of salmon location data collected from the inner ears of fish, according to a report published in the journal Heliyon. “We’re just getting tons and tons of rich data and we’re looking for better ways to visualize it,” says Jens Hegg, analytical lab manager in the Kennedy LIFE lab at the University of Idaho and lead author of the study. It’s a process called “sonification.” But why use sound and music to examine fish data? Translating massive amounts of data — whether from migrating fish, the stock market or the energy from the sun — into sound makes it accessible in a new and intuitive way, for scientists and laymen. It lets people hear trends and changes that viewing the data doesn’t reveal, the way that doctors have started listening to a patient’s electroencephalogram (EEG) to detect the onset of a seizure. Moreover, the burgeoning science may one day allow insights into huge data sets that scientists can’t yet envision. “How they self-identified what ‘transition’ meant mattered,” says Hegg. Some people would click deliberately at major transitions. Others would click more rapidly. Individually, Hegg found that they were not particularly accurate at identifying important changes in the data. When many participants’ results were combined, however, the researchers could filter out the noise and identify interesting structures the participants agreed upon. What the researchers learned from crowdsourcing the data, says Hegg, turned out to be the most interesting result from the study. Published: July 10, 2018, 4:02 p.m.